CDL Hospitality Trusts saw encouraging improvements at its Singapore properties with REVPAR (excluding Orchard Hotel) growth of 4.3% y-o-y. Maintain BUY with unchanged Target Price of S$1.83. Both CDL HOSPITALITY TRUSTS (SGX:J85)'s 4Q18 gross revenue and NPI declined 5.4% y-o-y each due to the absence of contribution from three properties (divestment of two Brisbane hotels in Jan 2018 and closure of Dhevanafushi Maldives Luxury Resort for repositioning to “Raffles Maldives Meradhoo”). However, this was partially offset by higher NPI contributions from Singapore, Germany and Japan properties owning to better performances, as well as incremental inorganic contribution from the newly acquired Hotel Cerretani Florence, MGallery by Sofitel. 2018 DPU of 9.26 S cents (+0.4%) came in above our expectations, at 104.6% of our full-year estimates. Singapore REVPAR (excluding Orchard Hotel) grew 4.3% y-o-y in 4Q18, supported by stable corporate demand, additional business generated by ASEAN Summit meetings, and from Chinese and Indian inbound leisure travellers during the year-end holidays. Orchard Hotel continues to be affected by ongoing refurbishment works, which saw renovation of its lobby and F&B outlets (Orchard Café and Intermezzo Bar) completed in Dec 18. Upgrading works for its meeting facilities and Grand Ballroom, and the refurbishment of 260 bedrooms in the Orchard Wing are expected to complete between 1Q-2Q19. Including Orchard Hotel, Singapore RevPAR would have increased only by 2.6% y-o-y (vs 4.3% y-o-y). Although Singapore RevPAR already grew 5.1% y-o-y in the first 27 days of Jan 19, management noted that 1Q19 may see relatively flat performance due to the absence of the Singapore Airshow (the last one was in Feb 18). For the rest of 2019, management sees improvement to be led by corporate demand from the pharmaceuticals and the IT sectors, as well as affiliated contractors and consultants from the large number of infrastructure projects ongoing this year. Management highlighted several long-term growth drivers for visitor arrivals. Notably, the “Southern Gateway of Asia” will see some 1000ha of land freed up for a new waterfront city (3x the size of Marina Bay), which will have commercial and entertainment facilities. Other growth drivers include Singapore’s growing status as a leading MICE destination, as well as world class aviation infrastructure (new Terminal 4 and Jewel Changi Airport). The addition of Terminal 4 in Oct 17 expanded capacity to 82m passenger traffic (vs 65.6m passengers in 2018) and offers room for further growth. The opening of Terminal 5 by 2030 will also double capacity to 150m passengers per year. On the supply front, pricing competition from new hotels (which opened in 4Q17) continued to drag on room rates in 1Q19. However, the benign supply growth forward is expected to be supportive of a recovery in the sector. Singapore hotel room inventory is expected to taper to 1.5% CAGR between end-2018 to end-2021 (vs CAGR of 5.5% from 2014-17). RevPAR for Angsana Velavaru improved marginally (+0.5%yoy), despite the intensified competition. Management also noted that in terms of customer base, they have pivoted away from the contracting Chinese market, towards European markets (which remained strong). Enhancement works for Dhevanafushi Maldives Luxury Resort are still continuing with plans to relaunch as “Raffles Maldives Meradhoo” in 2Q19. At opening, management has guided for room rates to be at least US$1,000. Occupancies will also start low, and will be ramped up over the 24 months to settle at 70-75% level. Update on Australia, New Zealand and the UK. The Australia portfolio saw lower rentals, due to the divestment of Mercure Brisbane and Ibis Brisbane, as well as the weakened AUD. New Zealand RevPAR declined 3.1% y-o-y in 4Q18, due to increased competition from new hotels supply in Auckland. UK RevPAR grew 1.3% y-o-y. Hilton Cambridge City Centre boosted its RevPAR due to more group corporate business, while Lowry Hotel saw marginally lower RevPAR from the absence of a few non-repeat high-rated conference group business, as well as some one-off operating and maintenance expenses. Japan RevPAR gained 7.3% y-o-y in 4Q18, supported by increased inbound tourist arrivals, healthy citywide events and international artists’ concerts. Regulations on short-term rentals also alleviated AirBnB competition, as a lot of listings were withdrawn (and re-focused on longer-term tenants). Management also highlighted future demand drivers, such as the 2019 Rugby World Cup, the 2020 Summer Olympics, and the development of integrated resorts. 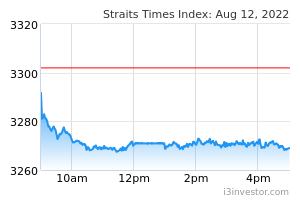 Gearing was stable at 34.2% (+0.4ppt q-o-q) as at end-18, and CDL Hospitality Trusts still has debt headroom of S$578m. Management has flagged Singapore and Europe as destinations for acquisition, although they still sees aggressive pricing, as well as new type of buyers emerging. In Europe, they have seen strong Middle Eastern (ie Israeli funding) interest. In Singapore, management is also seeing more buying, from HNW individuals, family offices, as well as Chinese interest. 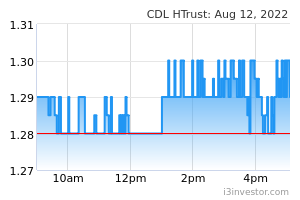 Maintain BUY with unchanged target price of S$1.83 for CDL Hospitality Trusts based on DDM (required return: 7.6% and terminal growth of 2.5%).